Tart apples, brown sugar and cinnamon are the perfect combination in this simple and satisfying dessert! Delicious served warm with or without a scoop of vanilla ice cream! Preheat oven to 425 degrees F. Grease a 2-quart baking dish. In a large bowl, combine the flour, rolled oats, granulated sugar and butter until crumbly: set aside. Layer the apple slices in the prepared baking dish. Sprinkle the brown sugar and cinnamon over the apple slices. Sprinkle the crumble mixture over the top. 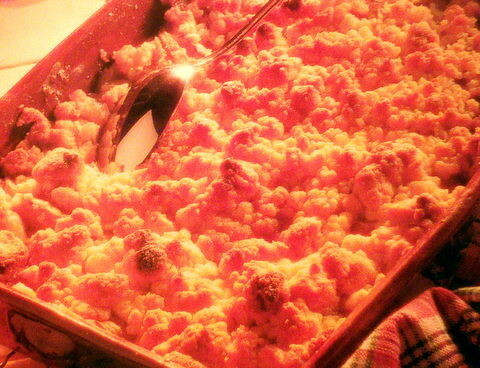 Bake for 20 to 25 minutes or until the crumble topping is lightly browned.